A mortgage is often the largest debt a person will ever incur. This makes sense, because buying a house is often the largest purchase you’ll ever make. 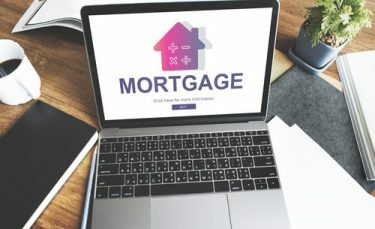 While many people have no issue with only making the minimum payments until they either sell their home or pay off the mortgage, some people don’t want the mortgage debt hanging over their heads. For some people, paying off a mortgage faster than the term is a smart move. If you’re one of those people, here are a few different ways you can pay your mortgage off faster than the full term. You might be surprised how different the results are for each scenario. For each method described below, I’ll be using the same exact numbers so you can see exactly how each method will compare to the others for this particular mortgage. The home in question was purchased for $250,000. A 20% down payment of $50,000 was made at the time of purchase, leaving a mortgage of $200,000. The $200,000 mortgage is a 30 year fixed interest rate mortgage with an interest rate of 4.5%. The minimum payment on the debt, not including any escrow amounts, is $1,013.37. The following strategies are used from the very first mortgage payment until the mortgage is paid off. The below numbers and calculations were rounded, so results may not be exact. 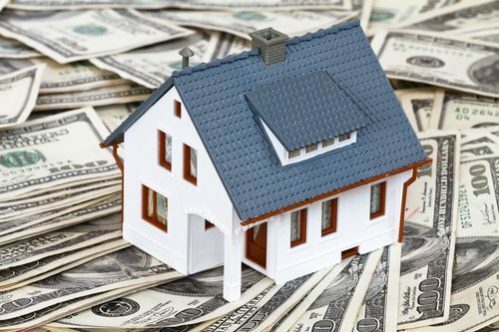 Adding $100 to your monthly mortgage payment should be easily achievable. It may take a little bit of sacrifice if you don’t have a lot of wiggle room in your budget, but it can put a significant dent in your mortgage over time. In this case, the mortgage payment you’d make each month would be $1,113.37. The result of adding just $100 per month to your mortgage payment is bigger than you’d think. You would pay your mortgage off 5 years early. You’d also save $59,750 versus the regular payment schedule, which is enough to buy two decent priced brand new cars. Coming up with an extra $500 to put toward your monthly mortgage payment is a stretch for many people. However, the savings are well worth the sacrifice. Some ideas to find the money include earning extra income on the side, cutting down some of your high expense categories or keeping your car after your car loan is paid off. If you do come up with the extra $500, your monthly mortgage payment would be $1,513.37. Adding $500 to your monthly mortgage payment results in a savings of $88,115. Your mortgage would be completely paid off in just 15 years and 3 months or 14 years and 9 months ahead of schedule. Wouldn’t it be amazing to avoid almost 15 years of payments? If you’re serious about being completely debt free, doubling your mortgage payment will work wonders. Some people could never dream of doubling their monthly mortgage payment every month, but some smart planning can make it a reality. The easiest way to do this is to buy a house that is much less expensive than what the banks will allow you to borrow. If they banks say you can take out a $400,000 mortgage but you can find a house with a $200,000 mortgage that you love, you should be able to swing a double mortgage payment each month. In this particular case, a double mortgage payment would be $2,026.74 per month. The major sacrifice is worth the pain. Your mortgage will be paid off in just 10 years and 4 months, or 19 years and 8 months ahead of schedule. The savings are massive, too. You’ll save $114,574 against the regular 30 year payment schedule. If you get paid every two weeks, one of the easiest ways to pay your mortgage off early is making biweekly payments. Basically, you divide your mortgage payment in half and make a payment each time you get paid. This method helps you pay your mortgage off faster because there are 52 weeks in a year, which means 26 biweekly paychecks in a year. If you do the math, you’ll realize this method results in one extra monthly mortgage payment per year. You may have to set this up officially through your mortgage servicer, so make sure you ask them how it works before you switch to this payment method. Making biweekly payments will save you 4 years and 5 months worth of payments. You’ll save $28,034 by making biweekly payments. That’s not bad for money you won’t even notice is missing. If you want your mortgage gone in 15 years, you’d think it is best to sign up for a 15 year mortgage. Usually, I suggest getting a 30 year mortgage instead and simply make payments as if it was a 15 year mortgage. You never know what will happen. Getting the 30 year gives you a lower mandatory payment, but still allows you to make a higher 15 year payment if you wish. The only downside is you’ll pay a higher interest rate for the benefit of having a 30 year mortgage. A 15 year $200,000 mortgage at a 4.5% interest rate would have a monthly payment of $1529.99. This payment would result in paying off your mortgage in 15 years, just as you would expect. You would save $89,446 using this method. Another option to pay your mortgage off early involves investing the amount you’d put toward extra principal payments. 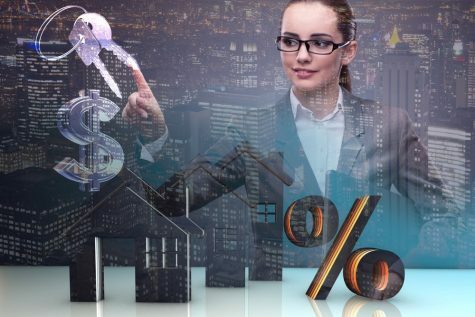 Then, once your investment is large enough to pay off your mortgage, as well as the taxes from selling your investments, you simply sell the investments and pay off your mortgage. Unlike prepaying your mortgage, investing comes with much more risk. You may be able to pay your mortgage off faster if you end up getting large investment returns. However, returns may be bad and result in you paying off your mortgage much later than if you had simply made extra principal payments. Extra principal payments have a guaranteed return of your interest rate. As you may know, investment returns can vary wildly. For the examples below, I used an estimated annual return of roughly 8%. For this exercise, I also ignore income taxes you may have to pay when you sell your investments due to the variety of tax rates readers may encounter. If you invest $100 each month, it will take you 22 years and 10 months to build up enough investments to pay off your mortgage in full. You would pay off your mortgage 2 years and 2 months faster than if you simply prepaid your mortgage. You’d save a total of $59,750. Investing $500 every month would result in paying off your mortgage in just 13 years and 6 months. This is 1 year and 9 months faster than prepaying your mortgage. Using this method, you’d save $119,647. Investing an extra mortgage payment of $1,013.37 each month is ambitious. If you can pull it off, you’d pay your mortgage off in just 9 years and 4 months or 1 year faster than prepaying your mortgage. Investing another payment would save you $137,818. In this case, I assume you invest half of a monthly payment, $506.69, in January and July each year. This scenario results in your mortgage being paid off in 23 years and 7 months. You would pay off your mortgage 2 years faster than making additional principal payments. You’ll save $53,708 by using this method. The difference between a 15 and 30 year mortgage in this case is $516.62. If you invest this amount each month, you’d pay off your mortgage in 13 year and 4 months. That’s 1 year and 8 months ahead of the 15 year schedule. Investing the $516.62 each month would save you $120,015. For an easy way to compare the difference in savings between prepaying your loan and investing based on the above assumptions, check out the table below. You’ll most likely find this article after you’ve made a few payments on your loan. As such, your savings won’t be quite as high. After all, you pay the most interest at the beginning of your mortgage. Each month you wait to start will reduce your savings. Don’t fall into these common mortgage mistakes. Another key to remember is these situations are for calculation purposes only. You may find one method works for you in year 1, but in year 2, you have to cut back to a slower method. That’s perfectly fine. You’re still going to have your loan paid off faster than anyone who sticks to the regular payment schedule. In fact, even if you have to completely stop making extra payments for a few years, you’ll still be ahead of the game. Whether you decide to prepay or invest your extra payments will depend largely on your personal situation. If you can’t stop yourself from spending money you have available to you, you’ll probably be best off prepaying. Similarly, if you freak out every time the stock market dips, you may want to prepay. If you are logical person and know you won’t touch your investments or sell during downturns, investing may be the fastest way to pay off your loan early. Just like anything in personal finance, deciding how to pay off your mortgage faster, if you choose to do so at all, is a personal decision that only you can make. Lance Cothern is a personal finance freelance writer from Panama City Beach, Florida. Together, he and his wife paid off over $80,000 of student loan debt in under 3 years. In addition to freelance writing, he writes for his own blog, Money Manifesto.